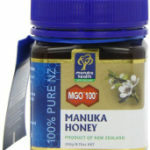 A super size jar of MGO 100+ Manuka Honey to reflect its super taste. Use it in your cooking or just eat it by the teaspoon from the jar. However you use it this large jar should keep you going for a bit. 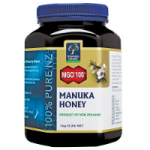 MGO 100+ Manuka Honey is a delicious manuka honey for everyday use. Manuka honey makes a versatile sweetener in baking but can be enjoyed best of all straight from the jar.